Aikido is a Japanese martial art founded by Morehei Ueshiba ("O Sensei"). Its roots stem from the brutal art of Daito-ryu Aikijujutsu. 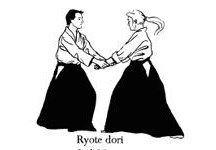 As with all Aikido techniques, we blend with our partner's energy and redirect that combined energy in a circular motion around our center. There is great emphasis devoted to learning how to roll and fall properly and an even greater emphasis on repetitive practice. In a typical class, you will practice Aikido techniques with random partners over a hundred times. You will fall and roll at least that many times. Every roll or fall toughens your body to the point that you will eventually be able to roll or fall on almost any surface. Every bruise is a badge of honor. Every step towards progress is a victory. The beginning techniques are very simple and demonstrate basic movements. As you progress up the ranks, you will work on more sophisticated techniques, some combining more than one technique or giving you choices to deal with any situation. You will have many questions about Aikido and you will discover that the more you learn, the more questions you will have. Aikido is an art based on the philosophical studies and martial arts experiences of Morihei Ueshiba (1883-1969). 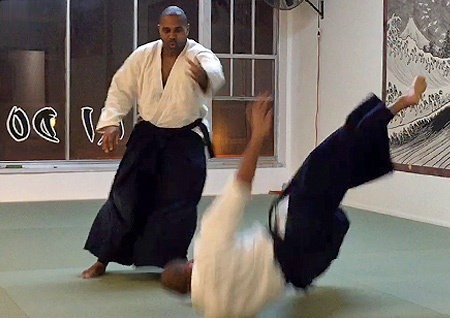 Many of the techniques were derived from Daito-ryu Aikijujutsu, but practiced with larger spherical rotations so they could be safer for beginners. As practitioners become more polished, they learn more ways of performing the techniques using both empty hands and weapons. 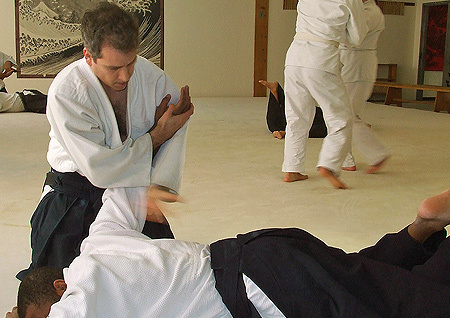 Aikido will teach you how to move so there will be fewer chances that you will be injured. You will learn how to ensure the safety of your partner in all of your practices. 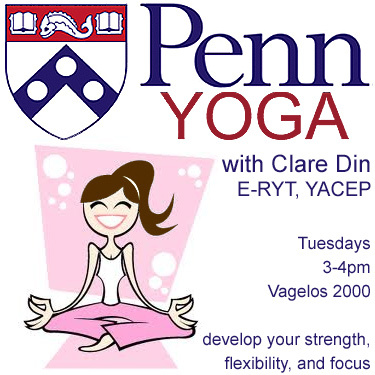 Over time, you will be able to develop the skills to master conflict resolution and to master your own body to deal with forces that may seem stronger than you. What is the point of every technique? Do not hesitate when a direct blow is coming at you. Move to avoid the blow and move into a safe spot. Always maintain your center of gravity. 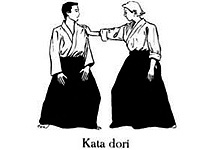 Enter with full force of ki and apply the technique to take over your opponent's center. When your opponent goes down, secure and control your opponent with a pin. Relax. Don't tense up under pressure. When the techniques are done correctly, it will seem to others as if you are moving with and manipulating air. What you are really doing is moving energy, embracing the conflict that comes your way and changing the intention of the attack. What are your goals with Aikido? I want to see how far I can go with it. Ultimately, I would like to teach Aikido someday. Your rank represents your Sensei's trust and respect in you, so it is up to you to make sure that you reflect that trust and respect positively. As a ranked student, when you have people visiting your dojo or attending their first class, you need to introduce yourself, welcome them, and try to show them why you love Aikido. In general, try not to worry about rank. It's more important to learn the techniques. 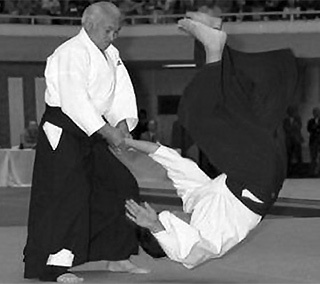 [source: Aikiweb] While it is honorable to say that you are not studying Aikido for a rank, realistically you want to achieve a level of proficiency that tells another seasoned practitioner that it is safe to throw you. You will also need to advance in rank if you desire to teach Aikido and build upon the reputation of your dojo. Unlike other martial arts dojos, and even other Aikido dojos, testing at my dojo is not announced beforehand. On any particular day, Sensei has a lesson plan that builds upon previous knowledge and experience and your ability to demonstrate such knowledge and experience shows up in your practice. When you are called upon to test, it is considered a practice run until you can adequately demonstrate your understanding of each technique. There are many approaches to each technique, but the ones that show respect for our particular tradition are usually those that Sensei and your classmates expect to see. You have to expect the unexpected and be ready at all times in our dojo, just like Samurai. What did it take to earn your 5th kyu? Although some may see 5th kyu as a beginning rank, earning it in my dojo is a major accomplishment. In addition to the months of continuous practice and drills in everything 5th kyu-related, my classes also included many techniques from 2nd to 4th kyu. The injuries I've suffered to achieve this rank include twice bending back my pinky finger, dozens of bruises along my arms, a bloodied toe, a bloodied ankle, and, perhaps worst of all, a dislodged tooth that ultimately required a root canal. There is a serene feeling that envelopes you when you've worked this hard to achieve something. What did it take to earn your 4th kyu? In a sense, 4th kyu is a much more difficult test to pass than 5th kyu because there are 16 techniques to demonstrate versus 11 for 5th kyu. It is also harder in that there is a lot more self-study involved, so you must have friends and mentors in your dojo who are willing to help you practice during non-class times. In another sense, it is more straightforward because by now you've developed a sense of timing, distance, footwork, and movement to help you get into, blend, and get out of each technique. Instead of learning the mechanics of how to react and follow through as in your 5th kyu techniques, you are learning more about why you are doing each technique. The injuries I've suffered to achieve this rank include bruises on my shoulder, wrists, forearms, and legs, but they weren't as severe as they were while preparing for my 5th kyu. I've learned how to protect myself better this time. What did it take to earn your 3rd kyu? 3rd kyu is the beginning of learning how to see and redirect force. Footwork and body position is crucial to learning how to control your opponent. There are 19 techniques to demonstrate this time and only through constant practice with different ukes will you be able to experience what a technique feels like and what it's supposed to do. In class, there are several students practicing for their 1st and 2nd kyu ranks, so I get exposed to some of their techniques, too. It took me a little longer than usual to achieve this rank because I had to learn Chiba Sensei's versions of the techniques. The injuries I've suffered to achieve this rank include a bruised heel, a bunion, a broken and chipped off toenail, and bending back my pinky finger for a second time on the same hand. What is it like preparing for 2nd kyu? The techniques for 2nd kyu demonstrate how to deal with forces much stronger than you. Precise movement, footwork, and technique are critical to take your opponent's balance in 2nd kyu techniques. It is also a time to start cleaning up all of your 5th kyu to 3rd kyu techniques elevating them to the level of what is expected of a 2nd kyu. 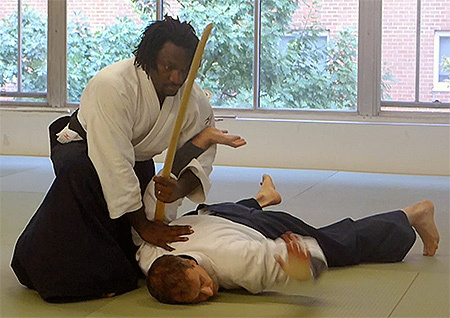 Aikikai of Philadelphia has a number of highly skilled Aikido teachers and Sempais. Any of the teachers here could be Senseis in their own dojos, but they chose to be a part of this collective to honor their Sensei, the late Henry Smith. I feel honored to be a part of this dojo and have them guide me. Many thanks to the many senior students for helping me prepare for my tests. In addition, Smith Sensei has studied under Yoshimitsu Yamada and worked with Nizam Taleb to develop the techniques taught in our dojo. Our dojo teaches Chiba Sensei's understanding of O Sensei's Aikido. Joe Curran, president of British Aikikai, said of Chiba Sensei, "My first impression of Chiba Sensei was that his movements on the tatami remind me of a sleek, powerful animal, such as a panther. I found it interesting how Chiba Sensei could manifest so much powerful waza and yet he was not a massively built man. I knew I was looking at someone special. 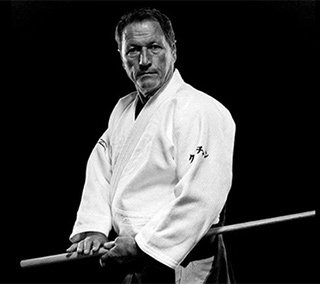 My Judo training had put me in contact with many great teachers, but I thought Chiba Sensei was in a league of his own." Indeed, Kazuo Chiba, along with Mitsugi Saotome and Nobuyoshi Tamura, were the only three students to learn O Sensei's secret teachings that included koppojutsu, also known as joint-breaking techniques. 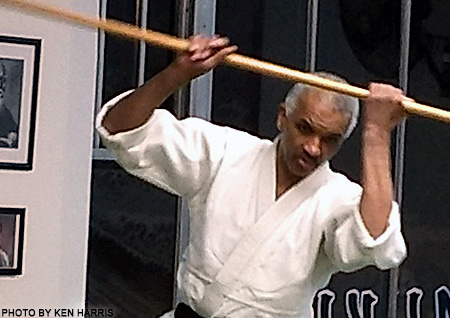 Sensei is one of the star pupils of Shihan Henry Smith and serves as a role model for the entire dojo. 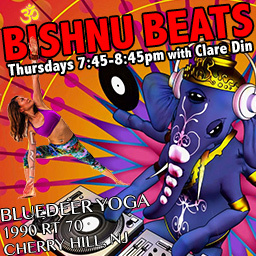 He teaches basic, advanced, and children's classes Mondays, Tuesdays, and some Saturdays. His Aikido moves are fluid, graceful, and beautiful to watch, but also quick and devastatingly powerful. 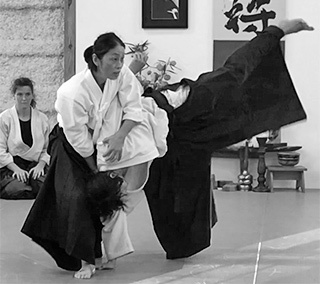 Sensei trains us vigorously, pushes us hard, and assists us in unleashing our best Aikido. Dr. John is a charismatic teacher who draws upon two decades of experience in the various styles of Aikido, from Iwama to Aikikai, as well as his vast knowledge of movies, media, and medicine. His classes are fast-paced and fun. Dr. John gives us practical applications that can be used to deal with street situations. He is also an accomplished author having written The Tao of Star Wars. Ed is a great teacher and Sempai. Tall, fierce, and powerful, he offers guidance on how to deal with larger opponents. Any time you face Ed, he will teach you how to dissect an opponent's defenses and exploit weaknesses. Ed's Sunday sword classes are a treat to be in. 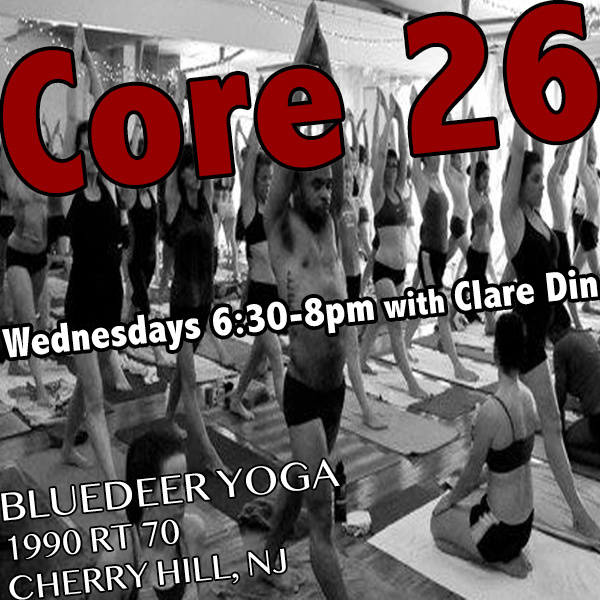 Carlton is an awesome teacher who always conducts himself in a very humble manner. His Aikido moves are precise, explosive, and powerful and his Wednesday classes are very detail-oriented. Carlton has a deep understanding of the mechanics of techniques. John teaches the children's classes every Saturday. His emphasis on movement fundamentals is valuable for Aikido students of all ages. John has a plethora of martial arts experience, including training in wTai Chi, boxing, and more. Ken is an effective teacher who helps me and other kyu students in our learning process. He occasionallity substitutes for any of the teachers on our roster. Ken is a great ambassador to the dojo and one of the Sempais you will likely meet in the daily classes. What is learning Aikido like? Learning Aikido is one of the most challenging, frustrating, and rewarding experiences you will have. You will find yourself taking two steps forward and one step back learning the intricacies of every technique. Sometimes you might find yourself taking two steps back when you thought you understood something, but really didn't. On the rare occasions you take two steps forward, it's because of a lightbulb moment that you get when you can relate something you've learned now with something you've learned earlier. It's easy to get discouraged learning Aikido, so patience, dedication, and a little bit of stubbornness will help you advance past the difficult times. It is usually helpful to relate what you learn in Aikido to other martial arts you have studied. How should I approach my practices? As O Sensei says, "Always practice Aikido in a joyful and vibrant manner." That means walking into a class with your best intentions, giving your most honest effort in each class, making an effort to learn the technique taught, and making it a part of your muscle memory so that it becomes a natural reaction to an attack.Be patient with yourself because not every technique will make sense to you the first time or even the fiftieth time. As the wise Aikidoka from the Concrete Lunch explains, "What you thought was happening in Aikido isn’t happening at all." In a relatively fast-paced class, you will practice as both uke and nage approximately 128 times (8 sets of 16 reps alternating as uke and nage).That's over 25,000 times in 200 classes. Every time you fall and hit the mat or cause someone else to fall and hit the mat, you learn a little more about what a technique is capable of and also how to avoid damage if someone tries to use the technique on you. Your skill in a technique increases with your experience and your experience can be enhanced by going to class and practicing with as many different ukes as possible. 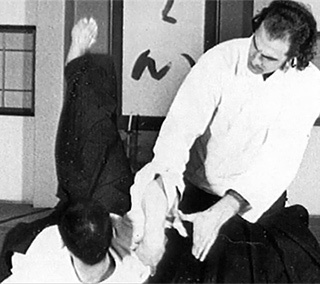 Sensei Walther von Krenner explains Aikido attacks as "not real attacks, but only movements that are strong in specific directions. By dealing with such power and learning to redirect it, students can eventually defend themselves using the same techniques against real attacks, which are issued more quickly against more vulnerable targets." The key to getting better at Aikido is much like any discipline: the more you practice, the more you will understand. 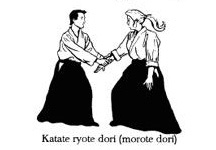 The progression philosophy of Aikido begins with Katatetori and Morotetori techniques, the one and two handed static grabs, and progresses to a point where your opponent doesn't get to grab you at all as you execute a technique that would look different depending on your skill level. You will also develop a good sense of timing and how to use atemi. At that point, you are about 3rd kyu and learning how to see and redirect force. Those of you who have studied multiple martial art forms know how valuable this technique can be. Similar to reading an opponent's intention in boxing or fencing, Aikido goes a step further by showing you how you can neutralize an attack without killing someone. 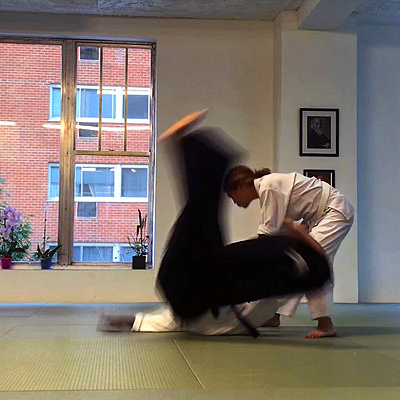 If intended, making someone land the wrong way on his back or head can kill, but that is not the point of Aikido. Why do some Aikido demonstrations look staged? Many forms of martial arts training focus on offensive techniques and how those techniques exert power over the opponent. 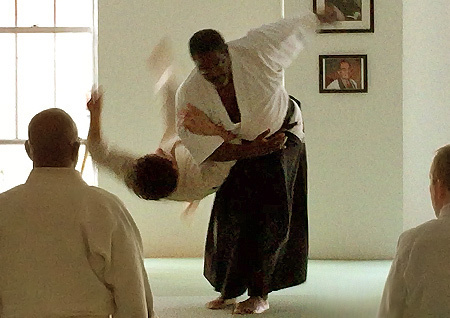 In Aikido training, a greater emphasis is placed on defensive techniques and taking ukemi. 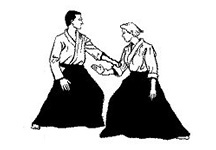 When a technique is shown, the teacher will tell the class what happens to the nage and the uke at every step of the way through the technique. 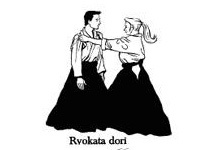 This ensures the safety of both the nage and uke and allows the two of them to feel each other's energy throughout the technique. What appears staged to the untrained eye is a carefully designed plan to keep both nage and uke safe at all times. 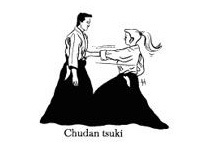 A wrist lock or back fall will likely cause great pain to someone not trained in Aikido. 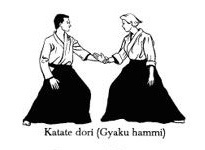 As the Aikidoka progresses through the ranks, she develops a better sense of how to read an opponent's body and make adjustments that account for slight changes in how the other person attacks or accepts the attacks. That is why it is so amazing to see an experienced Aikidoka take down an opponent using the simplest of movements. Over time, the Aikidoka will also improve her focus, determination, speed, timing, and martial effectiveness. There is a lot Aikido has to offer. As the old saying goes, "Don't knock it until you try it." When people who've studied other martial arts see Aikido videos with two graceful combatants squaring off against one another, they think it looks fake because they don't know all of the training involved to make a "fight" look the way it does. It's almost better to show them something not so graceful, much more jarring, and sadly brutal. How well would Aikido fare against other martial arts? This is a complex question because Aikido is often labelled as a defensive art, pacifistic in nature and not meant for initiating attacks. The entire catalog of Aikido techniques is built on the premise that your opponent attacks first and you counter by blending with and redirecting his energy. After reading many hate articles by MMA enthusiasts who claim they can "knock down Aikido people in 5 seconds," my response is they might fare well against a lower-ranking Aikidoka, but the truth is an Aikidoka would likely avoid the fight in the first place. What these haters fail to realize is once you get to a decent level in Aikido, you become so in tune with the mind and body that you can read intention and direct opposing forces before and as they occur. Someone who has mastered that can win any fight. It seems as if MMA people base their success on knocking someone out quickly. But what if you cannot land a punch? What if you fall and break your neck because you don't know how to fall? 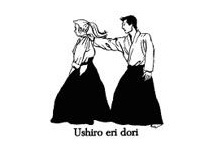 In Aikido, we train to avoid strikes and use that striking energy against the attacker. We make the attacker fall again and again. The bigger they are, the harder they will fall. An attacker will feel so frustrated that he ever picked a fight with an Aikidoka to begin with. If you only know Aikido and were in a confrontation, you would have to rely on your mastery of the techniques and principles behind the techniques to save you. If you know a striking martial art in addition to Aikido, you will know what it feels like to strike and be struck and will be able to apply Aikido techniques more effectively in combat situations because you will have more tools at your disposal. 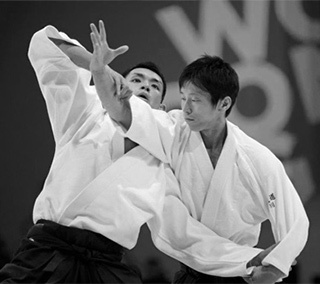 Studying Aikido will enable you to be a little bit quicker against an attack. If someone grabs my arm, I can easily make myself slippery so he can't hold on to me. I don't think of an Aikido technique; it just comes right out of me like it's built into the natural movements of my body. In class, I learn how to prevent injury to my training partners. In a real-life confrontation, I can dispense with the safety measures at my discretion. Aikido is a very good martial art for women because when the techniques are done correctly, not a lot of strength is needed. John Stevens, in Aikido: The Way of Harmony, says, "Throughout the history of Aikido, women have practiced together with men under the same conditions on the same level." 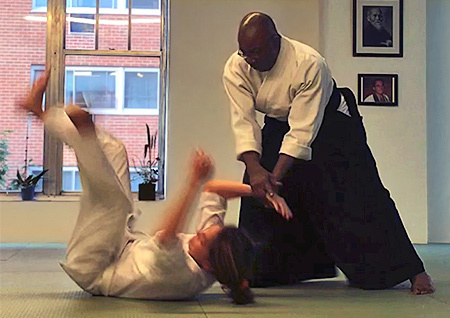 Some teachers even believe that women have an advantage in Aikido because they are not falling back on using brute strength when they get tired during practice. This all sounds well and good, but like any skill, your mileage may vary. While the techniques themselves can usually be mastered equally, men and women should probably take ukemi quite differently. The smaller bone structure and slighter musculature of women means that women should probably not take the same hard breakfalls that some men do. 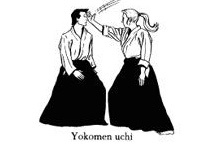 Instead, the focus should be on a more precise, graceful style of ukemi to minimize or avoid injury. Why should children study Aikido? Aikido can help children with their physical and mental development through movement and by instilling a sense of discipline, determination, and pride in what they do. The colored belt ranking system gives them the feeling of accomplishment as they progress in their studies. Children often exhibit the kind of flexibility and fearlessness that Aikido requires in many of its movements, however, it is important to understand that Aikido is a martial art, so there is always the possibility of injury. 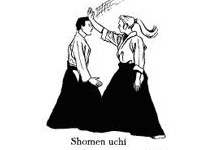 The person who receives a technique; the person being thrown; the person who strikes with Shomenuchi, Yokomenuchi, Tsuki, etc. Rolling and falling techniques. Correct ukemi will allow the uke to suffer the least amount of damage possible from a fall. If done correctly, the force of hitting the ground will be spread out along non-critical parts of the uke's body. 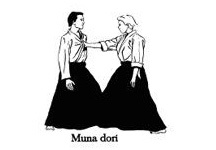 By properly doing ukemi, the uke can roll out of danger and move into their next course of action without being damaged too much by hitting the ground. 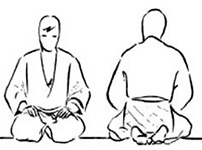 Techniques executed with nage kneeling and uke standing. Henka Waza Modifying or varying techniques, or shifting to another technique during execution. These were the people who inspired me to study Aikido. I must also credit the following Aikido teachers not shown above for their continued guidance in the form of literature, videos, and teaching: Yoshimitsu Yamada, Morihiro Saito, Kazuo Chiba, Steve Pimsleur, Mike Jones, Donovan Waite, Jonathan Weiner, Meik Skoss, and Stanley Pranin. Seagal, S. The Path Beyond Thought. Yamada, Y. The Power and the Basics, Volumes 1, 2, and 3. Baki the Grappler - Although this is not the type of image Aikidokas typically wish to convey, the character of Gouki Shibukawa is nonetheless a very powerful figure in this anime series and is entertaining to watch. Some have compared his likeness to Gozo Shioda. Season 2 epsiodes 17 and 19 have a special guest appearance by Morehei Ueshiba in anime form. Afro Samurai - This anime is just too cool not to include. Dang, P. T. Aikido Basics. Boston: Tuttle Publishing, 2003. Dobson, T., R. Moss, and J. E. Watson. It's a Lot Like Dancing: An Aikido Journey. Berkeley, CA: Blue Snake Books, 1993. Heckler, R. S. Aikido and the New Warrior. Berkeley, CA: North Atlantic Books, 1985. 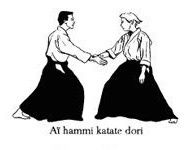 Homma, G. Aikido Sketch Diary: Dojo 365 Days. Berkeley, CA: North Atlantic Books, 1994. Meyer, R. Center: The Power of Aikido. Berkeley, CA: Frog, Ltd., 2000. Musashi, M. The Book of Five Rings. New York: Fall River Press, 2003. O'Connor, G. The Aikido Student Handbook. Berkeley: Blue Snake Books, 1993. O'Connor, G. The Elements of Aikido. Boston: Element Books, 1998. Rogers, D., H. Ellis, and D. Eastman. Positive Aikido. Victoria, BC: Trafford Publishing, 2004. Santoro, L. and J. Corso. 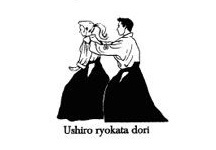 Aikido for Kids. New York: Sterling Publishing, 1998. Saotome, M. Principles of Aikido. Boston: Shambhala Publications, 1989. 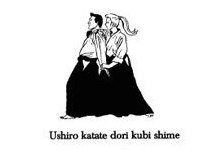 Shifflett, C. M. Aikido Exercises for Teaching and Training. Sewickley, PA: Round Earth Publishing, 2009. Shioda, G. Aikido: The Complete Basic Techniques. Kodansha International, Ltd., 2013. 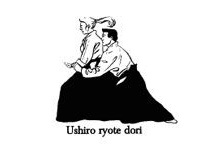 Shioda, G. Dynamic Aikido. Kodansha International, Ltd., 1968. Stevens, J. Aikido: The Way of Harmony. Boston: Shambala, 1984. Stevens, J. The Secrets of Aikido. Boston: Shambala, 1995. Stevens, J. Three Budo Masters. Kodansha International, Ltd., 1995. 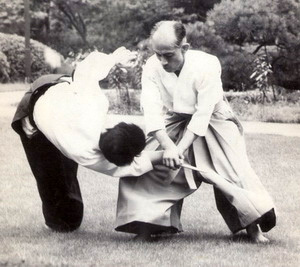 Ueshiba, K. Aikido. New York: Hozansha Publications., 1985. Ueshiba, K. Best Aikido: The Fundamentals. New York: Kodansha International, Ltd., 2002. 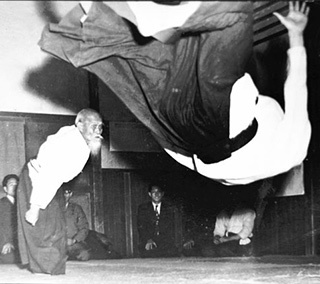 Ueshiba, K. The Aikido Master Course: Best Aikido2. New York: Kodansha International, Ltd., 2003. Ueshiba, K. The Spirit of Aikido. New York: Kodansha International, Ltd., 1984. Ueshiba, M. Progressive Aikido: The Essential Elements. New York: Kodansha International, Ltd., 2012. Ueshiba, M. The Art of Peace. Boston: Shambala Publications, 2002. Ueshiba, M. The Secret Teachings of Aikido. New York: Kodansha International, Ltd., 2012.
von Krenner, W. Aikido Ground Fighting: Grappling and Submission Techniques. Berkeley, CA: Blue Snake Books, 2013.
von Krenner, W. Atemi: The Thunder and Lightning of Aikido. Springhouse, PA: Tambuli Media, 2016. Westbrook, A. Aikido and the Dynamic Sphere: An Illustrated Introduction. Boston: Tuttle Publishing, 2001. Yamada, Y. Aikido Complete. New York: Lyle Stuart, 1984. Yamada, Y. New Aikido Complete: The Arts of Power and Movement. New York: Lyle Stuart, 1981. Yamada, Y. Ultimate Aikido: Secrets of Self-Defense and Inner Power. New York: Citadel Press, 1981.